The Endless Pool is a fantastic way of exercising from home. The signature Endless Pool current is flexible and adjustable allowing you to create the perfect workout for you. Our single-propeller, 5-hp system is industry leading. It is wider than your body, deeper than your stroke, and easily adjusts from a gentle flow to a more challenging pace. Its steel-panel construction means that an Endless Pool is versatile enough to fit almost anywhere – even in places where you didn’t think you could put a pool. Aquasun encourage you to customise your swim spa to suit your own specific preferences and requirements. 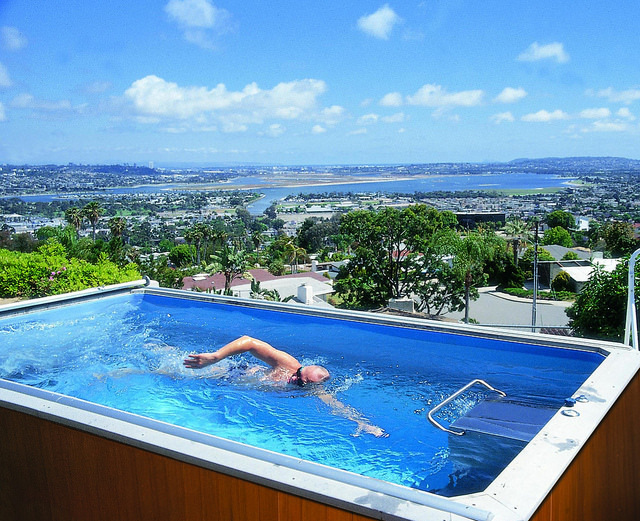 The Original Endless Pool adapts to your home and is a fantastic addition to any property.